Family members who lose loved ones in car accidents face not only emotional grief, but oftentimes financial hardship as well. If your family member was killed in a car accident caused by the careless or negligent actions of another, it is important to have a trusted wrongful death attorney by your side. At The Orlow Firm, our attorneys help people who have lost loved ones in fatal accidents recover compensation for their financial and economic losses. We understand the hardships you are facing and will do everything in our power to help you obtain the maximum compensation you are entitled to under New York law. 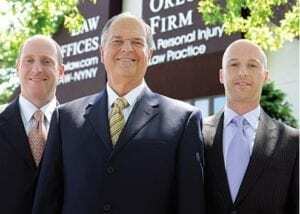 Contact our Queens law firm today to speak with an experienced Queens fatal car accident lawyer. Our attorneys offer skilled and compassionate representation to clients throughout New York who are coping with the loss of a loved one. We are dedicated to helping our clients achieve the compensation they deserve, and holding the responsible parties accountable. Have you lost a loved one in a fatal car accident? If so, contact our Queens car accident attorneys today for information regarding your legal rights. Call (646) 647-3398 to speak with a lawyer at the Orlow Firm about your car accident case.